After much deliberation, and even more time figuring out setup, I have just added a SHOP selection to my WordPress. CHECK OUT THE NEW SHOPPING PAGE. 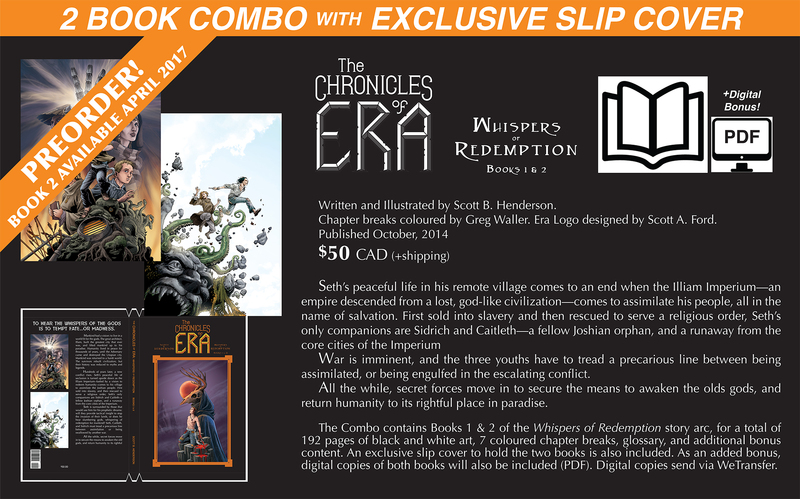 By way of PayPal, you can now order copies of my graphic novels, The Chronicles of Era, in print form or digital copies (PDFs). You can select your shipping destination, shipping charges included. 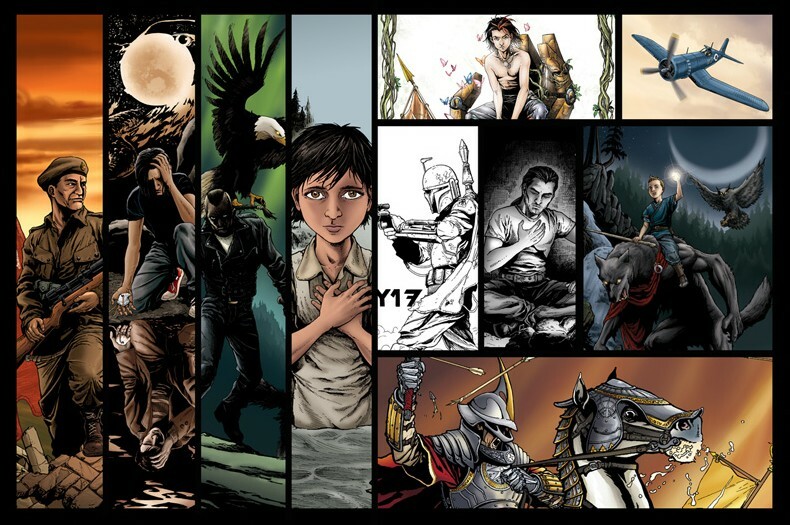 More items, such as prints or variant covers of Book 2 will be available in time. The Chronicles of Era Book 2 is off to the printers, and will be available at the end of April. See here for the updated Era Page. I will be attending the Calgary Fan Expo April 27-30.